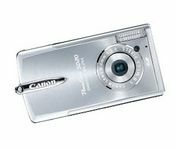 I realize there are many other features to look for when selecting a digital camera, but I'm specifically shopping for portability. I've set minimums on key feature areas that will directly impact picture quality, but this is the point-and-shoot world, not SLR, so I'm not hoping to get all the manual adjustments and add-on features commonly found in cameras with bigger bodies. Read on for the initial round of cameras I'm examining and how they fit into my criteria. 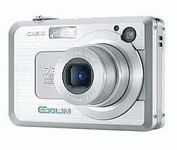 Although Casio makes me think of cheesy consumer keyboard sounds from the 1980's this camera looks solid. The 2.5 inch LCD screen is bigger than most of the cameras fitting my criteria. This one strikes out with no optical zoom. The 1.5 inch LCD is smaller than everything else I'm looking at, but comparable to what I'm used to with the S110. I've always loved Canon quality, so I may hold out for the newly announced SD400, with 5 megapixels and 3x Optical Zoom, which is a several generation advancement over my trusty S110. 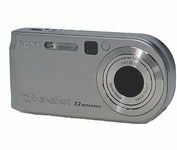 If only Sony could standardize on a media format that was compatible with a wider range of products, I might actually buy a Sony digital camera. They make great products, but I want something that supports the stacks of Compact Flash and SD cards I already own. SD would be ideal because I've got an SD slot on every PC in my house. Like other Sony models on this list, Memory Stick is the storage format. If the shutter lag outperforms every other camera, which it looks like it might, this moves to the top of the list. 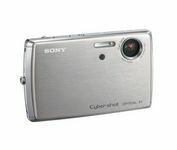 I'm almost willing to revise my size specs to fit the Sony DSC-P200 into the list without bending my rules. I should really kick this one off the list because it's only got a 2.8 optical zoom and it's slightly larger than my criteria. The LS753 is the most affordable camera on this list at $199 and still fits comfortably in a pocket so it remains for now. 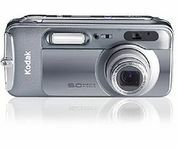 It's one of the older models on the list but we haven't seen anything better in the compact camera category from Kodak. Nikon offers a couple Coolpix options that are small enough but fail to meet my megapixel requirement, which is one area I won't budge. Olympus doesn't include rechargeable batteries in their compact models, which I find to be a ridiculous oversight. Several other lesser known brands are making cameras in my criteria range, but I don't know enough about them yet to make an educated judgment about their viability. I'm still shopping so I'll update this once I've had time to sort through more of the portable options.